What immunizations are recommended for children and adolescents? Chickenpox, also known as varicella, is a highly contagious and self-limited infection that most commonly affects children between 5-10 years of age. The disease has a worldwide distribution and is reported throughout the year in regions of temperate climate. The peak incidence is generally during the months of March through May. Lifelong immunity for chickenpox generally follows the disease. If the patient’s immune system does not totally clear the body of the virus, it may retreat to skin sensory nerve cell bodies where it is protected from the patient’s immune system. The disease shingles (also known as “zoster”) represents release of these viruses down the length of the skin nerve fiber and produces a characteristic painful rash. Shingles is most commonly a disease of adults. NOTE! Reye’s Syndrome, a deadly disease has been heavily linked with this virus. Learn More. Diphtheria is a contagious infectious disease that primarily affects the upper respiratory tract (respiratory diphtheria), and it is characterized by sore throat, fever, and an adherent membrane (pseudomembrane) on the tonsils and nasopharynx. Diphtheria can also affect the skin and cause localized skin infections (cutaneous diphtheria). Severe infection with diphtheria can lead to systemic involvement and can affect other organ systems as well, such as the heart and nervous system, sometimes leading to death. Diphtheria is caused by the bacterium Corynebacterium diphtheriae. Transmission occurs via inhalation of airborne respiratory secretions or by direct contact with infected nasopharyngeal secretions or skin wounds. Rarely, infection can be spread by contact with objects contaminated by an infected person. Risk factors for the development of diphtheria include absent or incomplete immunization against diphtheria, overcrowded and/or unsanitary living conditions, a compromised immune system, and travel to areas where the disease is endemic, especially in individuals who have not obtained booster shots (vaccine). Tetanus is a disease caused by a bacterial infection. The bacteria make a toxin, or poison, that causes severe muscle spasms. Tetanus can be very dangerous, but you can get a shot to prevent it. Tetanus is also called “lockjaw” because muscle spasms in your jaw make it hard to open your mouth. Tetanus also causes seizures and makes it hard for you to swallow or breathe. In the United States, most people have had shots to prevent tetanus, so the disease is relatively rare. People who have never been immunized or haven’t had a booster in the last 10 years are more likely to get tetanus. This includes people who recently moved to the U.S. from countries where tetanus shots are rare. If you never had tetanus shots as a child, or if you’re not sure if you had them, you’ll need to get 3 tetanus shots in about a 1-year time span. After that, 1 booster shot every 10 years will work for you. Get a tetanus shot as soon as possible if you have a dirty cut or wound and 5 or more years have passed since your last tetanus shot. Whooping cough (pertussis) is a disease that causes very severe coughing that may last for months. During bursts of violent coughing, you may make a noise that sounds like a “whoop” when you try to take a breath. You can cough so hard that you hurt a rib. Whooping cough spreads easily from one person to another. Getting the pertussis vaccine can help you avoid the disease, make it less severe, and prevent you from spreading it to those who are at risk for more serious problems. With good care, most people recover from whooping cough with no problems. But severe coughing spells can decrease the blood’s oxygen supply and lead to other problems, such as pneumonia. The illness can be dangerous in older adults and young children, especially babies who aren’t old enough to have had the pertussis vaccine. July 19, 2012 — Whooping cough cases could be headed toward a 50-year high in the United States, and the CDC says the nation is on track for record rates of the disease. Twice as many cases have been reported so far this year as at the same point last year, a CDC official said today. Nationwide, nearly 18,000 cases of whooping cough, or pertussis, and nine deaths have been reported in 2012, Anne Schuchat, MD, director of CDC’s National Center for Immunization and Respiratory Diseases, told reporters. More than 3,000 cases have been reported in Washington State alone, where health officials have declared a whooping cough epidemic. Pregnant women and anyone else likely to come into contact with young babies are being urged to get booster shots to prevent whooping cough, even if they have been vaccinated in the past. That’s because babies are most likely to die or be hospitalized when they get the highly contagious bacterial disease, which is named for the characteristic cough that accompanies it. Measles, also known as rubeola, is one of the most contagious infectious diseases, with at least a 90% secondary infection rate in susceptible domestic contacts. It can affect people of all ages, despite being considered primarily a childhood illness. Measles is marked by prodromal fever, cough, coryza, conjunctivitis, and pathognomonic enanthem (ie, Koplik spots), followed by an erythematous maculopapular rash on the third to seventh day. Infection confers life-long immunity. Subacute sclerosing panencephalitis (SSPE) is a rare chronic degenerative disease that occurs several years after measles infection. Globally, measles remains one of the leading causes of death in young children. According to the CDC, measles caused an estimated 197,000 deaths worldwide in 2007. Case-fatality rates are higher among children younger than 5 years. The highest fatality rates are among infants aged 4-12 months and in children who are immunocompromised because of human immunodeficiency virus (HIV) infection or other causes. Complications of measles are more likely to occur in persons younger than 5 years or older than 20 years, and morbidity and mortality are increased in persons with immune deficiency disorders, malnutrition, vitamin A deficiency, and inadequate vaccination. Croup, encephalitis, and pneumonia are the most common causes of death associated with measles. Measles encephalitis, a rare but serious complication, has a 10% mortality. Unvaccinated males and females are equally susceptible to infection by the measles virus. Excess mortality following acute measles has been observed among females at all ages, but it is most marked in adolescents and young adults. Despite the highest recorded immunization rates in history, young children who are not appropriately vaccinated may experience more than a 60-fold increase in risk of disease due to exposure to imported measles cases from countries that have not yet eliminated the disease. The peak incidence of infection occurs during late winter and spring. Infection is transmitted via respiratory droplets, which can remain active and contagious, either airborne or on surfaces, for up to 2 hours. Initial infection and viral replication occur locally in tracheal and bronchial epithelial cells. After 2-4 days, measles virus infects local lymphatic tissues, perhaps carried by pulmonary macrophages. Following the amplification of measles virus in regional lymph nodes, a predominantly cell-associated viremia disseminates the virus to various organs prior to the appearance of rash. Supportive care is normally all that is required for patients with measles. Vitamin A supplementation during acute measles significantly reduces risks of morbidity and mortality. Mumps is a disease, usually of children, caused by a virus. With mumps, your salivary glands swell. Specifically, these are the parotid glands, and they are located below and in front of each ear. The virus is spread by direct contact with an infected person’s sneeze or cough. Humans are the only known natural hosts. The disease is more severe if you get it as an adult. With nearly universal immunization in childhood, there are fewer than 1,000 cases of mumps per year. Most of the reported cases are in children 5-14 years of age. The infection is more common during late winter and spring. Rubella is a very contagious, easily spread illness caused by the rubella virus. It is usually a mild illness. But in rare cases, it may cause more serious problems. If you are pregnant and get infected with the rubella virus, your baby (fetus) could become infected too. 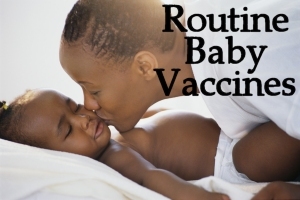 This can cause birth defects, including serious defects known as congenital rubella syndrome (CRS). CRS can cause hearing loss, eye problems, heart problems, and other complications. Rubella also is called German measles or 3-day measles. The rubella virus most often is spread through droplets of fluid from the mouth, nose, or eyes of someone who has the infection. A person who has the infection can spread these droplets by coughing, sneezing, talking, or sharing food or drinks. You can get infected by touching something that has the droplets on it and then touching your eyes, nose, or mouth before washing your hands. If you have rubella, you are most likely to spread it a few days before the rash starts until 5 to 7 days after the rash first appears. But you can spread the virus even if you don’t have any symptoms. If you’ve had rubella, it is very unlikely that you will get it again. Polio is an infectious disease caused by polioviruses that can result in symptoms ranging from none to lifelong disability or death. Risk factors are highest for those people unvaccinated against polio, young children, immunosuppressed people, pregnant females, those people living or traveling in areas where polio is endemic, and polio patient caregivers. Polio symptoms first begin like any other viral illness; progressive symptoms include muscle discomfort and muscle paralysis with late symptoms of muscle atrophy, weakness, extremity disfigurement, and breathing problems in some patients. People who have risk factors or symptoms should seek medical care immediately. Diagnosis of polio is made by clinical observation of symptoms and by tests that detect the polio viruses in samples taken from the patient. There is no medical cure for polio; medical treatment is designed to reduce symptoms. There are many surgical methods used to help relieve symptoms of polio (mainly bone, joint, and muscle modifications). Prevention of polio is possible with appropriate vaccination treatments; avoiding contact with polio viruses by good hygiene and avoiding areas where polio is endemic also help prevent polio. The prognosis for most people who are infected by the polio viruses is good, but those few patients who develop paralytic polio have a prognosis ranging from good to poor, depending on the severity of infection. All cases of TB are passed from person to person via droplets. When someone with TB infection coughs, sneezes, or talks, tiny droplets of saliva or mucus are expelled into the air, which can be inhaled by another person. Once infectious particles reach the alveoli (small saclike structures in the air spaces in the lungs), another cell, called the macrophage, engulfs the TB bacteria. Then the bacteria are transmitted to the lymphatic system and bloodstream and spread to other organs occurs. The bacteria further multiply in organs that have high oxygen pressures, such as the upper lobes of the lungs, the kidneys, bone marrow, and meninges — the membrane-like coverings of the brain and spinal cord. — 8.8 million new cases of TB developed. — 1.6 million people died of this disease in 2005. — Each person with untreated active TB will infect on average 10-15 people each year. — A new infection occurs every second. In 2009, the TB rate in the United States was 3.8 cases per 100,000 population, a slight decrease from the prior year. Four states (California, Florida, New York, and Texas) accounted for the majority of all new TB cases (50.3%). With the spread of AIDS, tuberculosis continues to lay waste to large populations. The emergence of drug-resistant organisms threatens to make this disease once again incurable. In 1993, the WHO declared tuberculosis a global emergency. NOTE: Never give a child under the age of 19 aspirin or aspirin products without first talking to your doctor because you could trigger a deadly disease known as Reye’s Syndrome. Signs and symptoms include a thick covering in the back of the throat that can make it hard to breathe. Diphtheria can lead to breathing problems, and heart failure. Signs and symptoms include painful tightening of the muscles, usually all over the body. Tetanus can lead to stiffness of the jaw so victims can’t open their mouth or swallow. Signs and symptoms include violent coughing spells that can make it hard for a baby to eat, drink, or breathe. These spells can last for weeks. Pertussis can lead to pneumonia, seizures, and brain damage. Signs and symptoms can include trouble breathing. There may not be any signs or symptoms in mild cases. Hib can lead to (infection of the brain and spinal cord coverings); pneumonia; infections of the blood, joints, bones, and covering of the heart; brain damage; and deafness. Signs and symptoms can include tiredness, diarrhea and vomiting, jaundice (yellow skin or eyes), and pain in muscles, joints and stomach. But usually there are no signs or symptoms at all. Hepatitis B can lead to liver damage, and liver cancer. Signs and symptoms can include flu-like illness, or there may be no signs or symptoms at all. Polio can lead to paralysis (can’t move an arm or leg). Signs and symptoms include fever, chills, cough, and chest pain. Pneumococcal disease can lead to meningitis (infection of the brain and spinal cord coverings), blood infections, ear infections, pneumonia, deafness, and brain damage. Signs and symptoms include watery diarrhea (sometimes severe), vomiting, fever, and stomach pain. Rotavirus can lead to dehydration and hospitalization. Any of these diseases can lead to death. How do babies catch these diseases? Usually from contact with other children or adults who are already infected, sometimes without even knowing they are infected. A mother with Hepatitis B infection can also infect her baby at birth. Tetanus enters the body through a cut or wound; it is not spread from person to person. Vaccines help make you immune to serious diseases without getting sick first. Without a vaccine, you must actually get a disease in order to become immune to the germ that causes it. Vaccines work best when they are given at certain ages. For example, children don’t receive measles vaccine until they are at least one year old. If it is given earlier it might not work as well. The Centers for Disease Control and Prevention publishes a schedule for childhood vaccines from birth to 18 years of age. A vaccine is a product that produces immunity from a disease and can be administered through needle injections, by mouth, or by aerosol. A vaccination is the injection of a killed or weakened organism that produces immunity in the body against that organism. An immunization is the process by which a person or animal becomes protected from a disease. Vaccines cause immunization, and there are also some diseases that cause immunization after an individual recovers from the disease. Vaccines are held to the highest standard of safety. The United States currently has the safest, most effective vaccine supply in history. Vaccines undergo a rigorous and extensive evaluation program to determine a product’s safety and effectiveness. If a vaccine does receive approval by FDA, it is continuously monitored for safety and effectiveness. 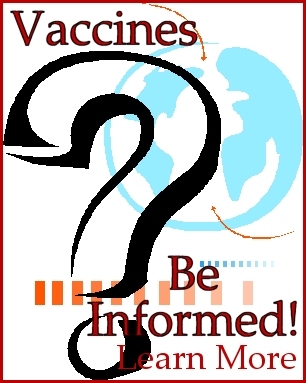 Vaccine Benefits: Why get vaccinated? Diseases have injured and killed many children over the years in the United States. Polio paralyzed about 37,000 and killed about 1,700 every year in the 1950s. Hib disease was once the leading cause of bacterial meningitis in children under 5 years of age. About 15,000 people died each year from diphtheria before there was a vaccine. Up to 70,000 children a year were hospitalized because of rotavirus disease. Hepatitis B can cause liver damage and cancer in 1 child out of 4 who are infected, and tetanus kills 1 out of every 5 who get it. Thanks mostly to vaccines, these diseases are not nearly as common as they used to be. But they have not disappeared, either. Some are common in other countries, and if we stop vaccinating they will come back here. This has already happened in some parts of the world. When vaccination rates go down, disease rates go up. Most babies can safely get vaccines. But some babies should not get certain vaccines. Your doctor will help you decide. A child who is sick on the day vaccinations are scheduled might be asked to come back for them. A fever of over 105°F. before getting Polio vaccine, if your child has a life-threatening allergy to the antibiotics neomycin, streptomycin or polymyxin B.
before getting Hepatitis B vaccine, if your child has a life-threatening allergy to yeast. Ever had intussusception (bowel obstruction that is treated in a hospital). before getting PCV13 or DTaP vaccine, if your child ever had a severe reaction after any vaccine containing diphtheria toxoid (such as DTaP). Vaccines can cause side effects, like any medicine. Most vaccine reactions are mild: tenderness, redness, or swelling where the shot was given; or a mild fever. These happen to about 1 child in 4. They appear soon after the shot is given and go away within a day or two. Mild problems: Fussiness (up to 1 child in 3); tiredness or poor appetite (up to 1 child in 10); vomiting (up to 1 child in 50); swelling of the entire arm or leg for 1-7 days (up to 1 child in 30) – usually after the 4th or 5th dose. Moderate problems: Seizure (1 child in 14,000); non-stop crying for 3 hours or longer (up to 1 child in 1,000); fever over 105°F (1 child in 16,000). Serious problems: Long term seizures, coma, lowered consciousness, and permanent brain damage have been reported. These problems happen so rarely that it is hard to tell whether they were actually caused by the vaccination or just happened afterward by chance. These vaccines have not been associated with other mild problems, or with moderate or serious problems. Mild problems: During studies of the vaccine, some children became fussy or drowsy or lost their appetite. Mild problems: Children who get rotavirus vaccine are slightly more likely than other children to be irritable or to have mild, temporary diarrhea or vomiting. This happens within the first week after getting a dose of the vaccine. Serious problems: Studies in Australia and Mexico have shown a small increase in cases of intussusception within a week after the first dose of rotavirus vaccine. So far, this increase has not been seen in the United States, but it can’t be ruled out. If the same risk were to exist here, we would expect to see 1 to 3 infants out of 100,000 develop intussusception within a week after the first dose of vaccine. What if there is a serious reaction? Look for anything that concerns you, such as signs of a severe allergic reaction, very high fever, or behavior changes. Signs of a severe allergic reaction can include hives, swelling of the face and throat, difficulty breathing, a fast heartbeat, dizziness, and weakness. These would start a few minutes to a few hours after the vaccination. If you think it is a severe allergic reaction or other emergency that can’t wait, call 9-1-1 or get the person to the nearest hospital. Otherwise, call your doctor. Afterward, the reaction should be reported to the Vaccine Adverse Event Reporting System (VAERS). Your doctor might file this report, or you can do it yourself through the VAERS web siteExternal Web Site Icon, or by calling 1-800-822-7967. Vaccination is one of the best ways parents can protect infants, children, and teens from 16 potentially harmful diseases. Vaccine-preventable diseases can be very serious, may require hospitalization, or even be deadly – especially in infants and young children. To interpret commonly used acronyms and abbreviations that health care professionals use to record vaccinations, consult the Vaccine and Acronyms and Abbreviations list. This list also contains manufacturers’ trade names for vaccines and some common abbreviations for vaccine-preventable diseases. And Remember: Never give a child under the age of 19 aspirin or aspirin products without first talking with a doctor. You could trigger a deadly disease known as Reye’s Syndrome. Comments Off on What Are Vaccinations? Diseases like whooping cough (pertussis), measles, mumps, and German measles (rubella) may be unfamiliar to you. In the 19th and early 20th centuries, these illnesses struck hundreds of thousands of people in the United States each year, mostly children, and tens of thousands of people died. The names of these diseases were frightening household words. They are all but forgotten. That change happened largely because of vaccines. But now we see parents who are hesitating, or fighting vaccination of their children. Mostly from a fear of Autism, which has not been proved. Learn more about Autism. This could lead to a resurgence of many of these potentially deadly diseases as seen in the widespread Whooping Cough outbreak in 2012. Today, children in the United States should routinely get vaccines that protect them and others from more than a dozen diseases such as measles, polio, and tetanus. Most of these diseases are now at their lowest levels in history, thanks to years of immunization because Children must get at least some vaccines before they may attend school. BUT – many parents lacking informed, accurate information, are forgoing, or trying to forgo vaccinations, which is, in the case of Whooping Cough, bringing these deadly diseases back into the general population. After talking with parents across the country, CDC put together this short video to help answer the tough questions that real moms had about childhood immunizations. 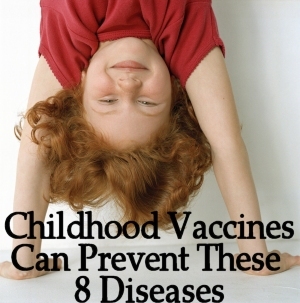 Understanding the importance of vaccines is crucial for you to protect your children’s health. The world is a smaller place, with more than 7 Billion people inhabiting the planet. Travel to other countries is easy, and more and more parents take their children with them. Recently, an outbreak of Tuberculosis is stunning the entire city of Sheboygan, Wisconsin, and in Indiana in 2012, a visit to the Super Bowl caused a large outbreak of Measles which could have affected hundreds of thousands across the country. 1 – Contracting a deadly disease known as Reye’s Syndrome, which can be triggered after a viral infection. Lean more about Reye’s Syndrome. 2 – The surge in Chickenpox Parties – an illegal and potentially deadly practice. Learn more about Chickenpox Parties. How do you know if that young woman behind you in the grocery store that your unvaccinated child is talking to and handing a toy is in early pregnancy? How do you know if that grandfatherly man at the restaurant who ruffles your little one’s hair is on Chemotherapy? How do you know if the child’s own Grandmother, or your own Sister, has an un-diagnosed Cancer? An un-vaccinated child could carry any one of the diseases they should be vaccinated for, for more than 10 to 14 days before symptoms show up. How many people have they infected during that time? NOTE!! Never give a child under the age of 19 aspirin or aspirin products without consulting a doctor first, as you could trigger a deadly disease known as Reye’s Syndrome! Children, and Adults, do die of these diseases. That is why there are vaccines. So do think about the responsibility you have toward your child, your family, and society as a whole when it comes to vaccinations. They do save lives, prevent pandemics, and make us all safer.